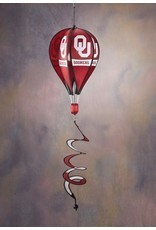 Our collegiate Hot Air Balloon Spinners will add color and motion to your festive outdoor areas. They spin easily in a light breeze. The six panels come with the school logo printed on each panel and the tail has alternating school colors. The spinner has a lightweight fiberglass frame. 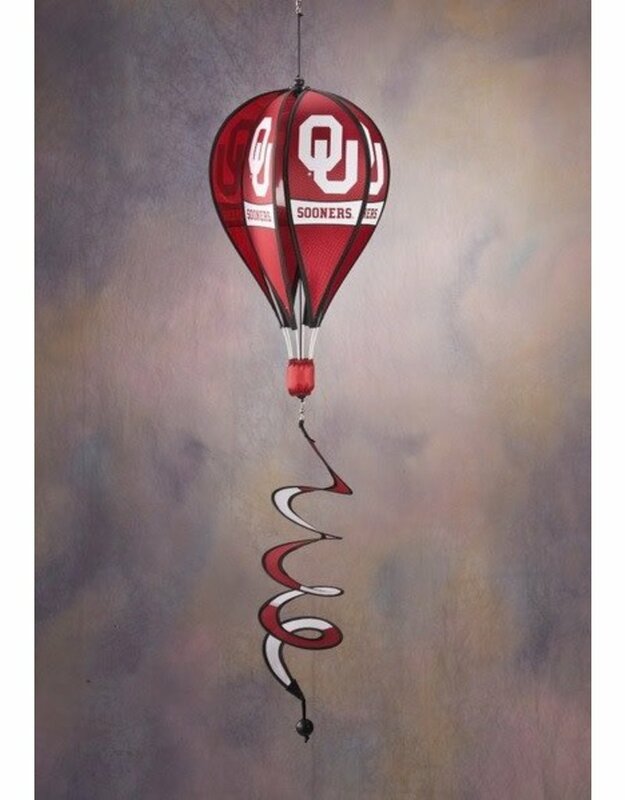 The balloon measures 17 in. from the top to the bottom of the basket and is approximately 24 in. in diameter. The tail extends another 24 in. Assembles in minutes with no tools required.